If anyone isn’t aware that the Church of England is slowly walking down the statistical road to oblivion, the publication of the 2015 British Election Study last week should be enough to convince them that this is not just the dream of hopeful secularists. This wide-ranging and extensive survey carried out earlier this year takes a look at historical trends of religious affiliation according to denomination and age. What we see is that Roman Catholics are doing pretty well, with their numbers staying more-or-less stable over the last 50 years, whereas the number of Anglicans has halved and other Christian denominations have fared even worse, dropping down by about two thirds. Christianity still has its nose ahead in the overall statistics nationally at 48 per cent, just in front of the ‘Nones’ at 45 per cent, with other religions, including Islam, making up the final 7 per cent. This makes for pretty grim reading for our church leaders, unless they happen to be Roman Catholic. But it is widely acknowledged that this stability in Roman Catholic affiliation is entirely down to the large number of strongly religious Eastern Europeans who have made themselves at home here over the last few years. If current trends are to continue, then Methodism could be little more than a memory in a few decades time, and the Church of England will be preparing for its own funeral sometime around the end of the century. Now, so often when these religious attendance and affiliation numbers are published, someone from Church House or the Archbishops’ Council is trotted out to tell us that things aren’t anywhere near as bad as the numbers suggest. Sure, there are still more people who call themselves Christian than not, but if current trends continue – and they most certainly will – by the time the next survey is carried out in five years’ time, ‘No religion’ will be the most popular choice and there is a good chance that there will be more people attending mosques each week than going to an Anglican church on a Sunday. For once, though, there has been no positive spin pushed out from the CofE. Instead, quite the opposite has happened, which suggests that the game of papering over the ever-widening cracks may well be up. Instead, the Bishop of Blackburn Julian Henderson has stepped up to the plate and issued a stark warning to those in his own Diocese: unless the church reinvents itself, it will disappear like the region’s textile industry. His Archdeacon, John Hawley, has set the extinction date for the Church of England in Lancashire at 2050. He has set out an ambitious 12-year plan to turn round the fortunes of his churches. In his document entitled Where are we heading? he calls for heavy investment in youth groups, flexible patterns of worship and plans to grow new congregations. He also suggests the Diocese should “unashamedly seek to bring others to faith in Christ”, and foster closer integration between different churches. All good, sensible stuff. The biggest reason that church numbers are falling away rapidly is that at the top end members are dying off, but at the other end, children are just not joining, or choosing to leave without returning later on. And who can blame them? How many children would rather spend Sunday in bed, on the Xbox or out with their friends, than be stuck in an old building repeating the same liturgy week-to-week and being bored out of their minds listening to sermons that talk about God in a way that makes little sense and has virtually nothing to do with their everyday experience of life? Some will be able to enjoy good quality children’s work for a few years, but sooner or later they’ll be thrown in with the adults and be expected to fit the mould. Bishop Julian is right to focus on the young, but the real job is to convince churches that they seriously need to take a long hard look at what church is and should be. Unless a church fully understands the need for mission to be part of its culture and is actually willing to do something about it, then the battle has already been lost. Buying in a load of youth workers is only a start, as is playing with different service times and days. Is that enough to fix a deep-seated problem? I don’t think so. I’ve talk about this extensively at various points this year at ‘God and Politics’, setting out a vision for where the Church should be in 2024 and explaining why the churches really need to wake up and smell the coffee over church growth and decline. Perhaps the biggest obstacle, though (and there are plenty to choose from), is that too many churches and ministers are obsessed with their Sunday services. If we have a fantastic Sunday service, then people will come to our church and the young people will want to stay and maybe even bring their friends! Well, this might not be a popular thing to say, especially to the clergy. But a lot of people I know, including many of whom would describe their churches as “lively”, often find services dull. No matter how hard you try to put on an interesting service, whether that be through contemporary music, making them more interactive, or producing well-delivered sermons, it will not be enough to attract and keep people, and the younger they are, the more this will be the case. 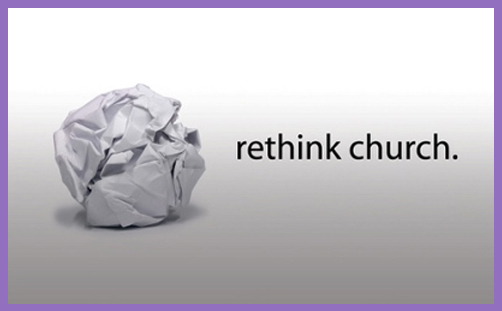 There really is no magic structure that will turn round a church’s fortunes. Let’s be honest, church services are not the most important part of the Christian Faith. What was Jesus’ Great Commission? What did Jesus say when he sent out his 12 into the towns and villages? As you go, proclaim this message: “The kingdom of heaven has come near.” Heal the sick, raise the dead, cleanse those who have leprosy, drive out demons. Jesus didn’t have a good relationship with religious services. The recorded incidents of him preaching in synagogues ended up with him upsetting the congregation even to the point of them trying to throw him off a cliff afterwards. Later on, once Paul began trying to establish some order in the churches he had planted, the majority of his teaching focused on the work of the Holy Spirit and building community. How far have we allowed ourselves to lose sight of what church communities should look like? This is a fundamental question, because our answer gives an important indication as to whether we are willing to do what it will take to allow the Christian Faith to flourish and grow over the coming years. In a former life, I went to work for a church as its salaried youth worker. When I arrived, the number in the youth group could be counted on one hand, but by the time I had finished three-and-a-half years later, the youth work had become so large and expansive that it was too big for the church to cope with. We ended up having to set up a separate charity which became the biggest single youth agency in the county. If there was a secret, it was that we put God first and the young people second. After that came everything else. We spent as much time outside the church walls as in them. We discipled the young people, introduced them to Jesus and the Holy Spirit, and they were so confident in their faith and the forms of church that they became the missionaries in their own community. The irony was that even though I had a vision for where God wanted the work to go, I almost lost my job after six months because some of the church leaders couldn’t make sense of what I was doing. It was outside of their paradigm of what church should be, even though the church saw itself as forward-thinking. The point of this is not to boast, but to illustrate how a plan – such as the one Bishop Julian proposes – will only work when it is acted out radically; when God is put at the heart of it all, and churches are willing to completely re-evaluate what church should be. When churches do this, not only can it transform them from the inside, but it can reach the communities around them, too. One such church is Causeway Coast Vineyard in Coleraine, Northern Ireland. In the last seven months they have seen 2,200 people become Christians in their town. This is remarkable, but they are keen not to label it as a revival. It is the fruit of 10 years of presence in their local community, which God is now blessing in an incredible way. This is the church that employs Peter Lynas, who heads up the Evangelical Alliance in Northern Ireland, and Mark Marx, who established the Healing on the Streets ministry which has spread across the UK, with members of churches going out to their towns and city centres offering prayer for healing to anyone who might want it. More than 60 percent of those coming to faith have surrendered their yes to Jesus on the streets of our town and surrounding area. The move of God we are experiencing is happening beyond the building. It is not a movement IN the church, it is a movement OF the church. Jesus said that he would build his church, but instead we’ve been trying to do the job for him. Instead we’ve been asking him to do our job – to go out into the world and gather people – because we’ve been building the church. We’ve realised that something incredible happens in the community when the church shows up amongst the people and demonstrates the Kingdom with authority and compassion. There is no denying that services and other established church structures have their place, and we should aim to do the best possible. But if the Church of England and other churches want not just to survive but actually grow, some sacred cows will need to be addressed. The Christian Faith is a beautiful and wondrous thing that displays God’s glory, and the Church should reflect this. It’s time for visionaries following God’s Spirit to rise up and lead the way.